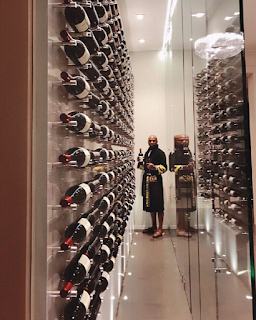 Floyd Mayweather took to his IG page to show off his enviable wine collection in his Beverly Hills mansion. I ain't against you enjoying your money, but I feel it can be done with a Lil bit of decorum. It makes you more dignified. this guy dey ball. I think by the time he dies, he would have exhausted his wealth simultaneously so nothing for his kid or wife. Is that one life? Nice! My son must be a fighter!